The Great Lakes states are at a critical time in climate and energy planning as energy becomes more expensive and the extremes of climate change challenge the region. The Superior Watershed Partnership (SWP) is working with a number of partners to foster regional cooperation in climate change adaptation planning and mitigation efforts. The SWP was integral in forming a regional climate task force that includes the City of Marquette, Marquette County, local businesses, and representatives from Northern Michigan University. With assistance from Great Lakes Integrated Science Assessments (GLISA), Climate Solutions University, Pictured Rocks National Lakeshore, US Forest Service, Headwaters Economics, and the Great Lakes and St. Lawrence Cities Initiative, the SWP developed the first comprehensive, regional climate adaptation plan in Michigan, titled Lake Superior Climate Adaptation, Mitigation and Implementation Plan. 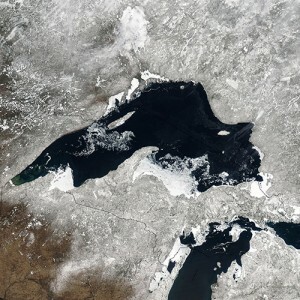 This plan provides a summary of current conditions, potential impacts, and recommendations for mitigating and adapting to climate change in the Lake Superior Region. With additional funding the SWP can begin to bring the Lake Superior Climate Adaptation Plan into policy-level decision-making at the county, township and city level in communities along the Lake Superior shoreline. Assistance with energy bills (for qualified applicants): financial assistance is available for electricity, natural gas, propane, fuel oil, and firewood. $3,000 cap for all combined energy types. 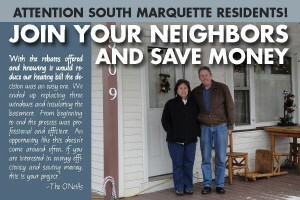 Is wind power right for your Upper Peninsula community? 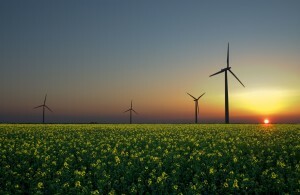 Wind power is a simple concept: harvest the wind to produce clean energy. But in practice it is not that simple. There are many factors that need to be considered when an individual, community, or utility company considers developing wind power. The Climate Adaptation Task Force (CATF) was formed to help prepare local leaders and the general public to think proactively about the effects of climate change and to develop strategies that will make the Upper Peninsula more resilient and effective when dealing with the consequences of climate change.